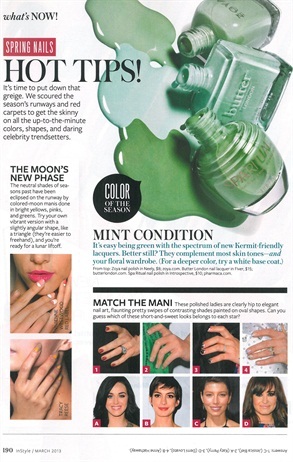 Mint green is one of the most popular shades for spring, according to InStyle's March 2013 issue. It complements most skin tones and a floral wardrobe. Try Zoya's Neely, Butter London's Fiver, and Spa Ritual's Introspective.